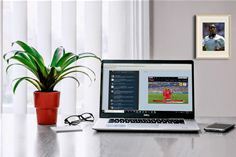 A new Add-In from Zylpha (www.zylpha.com) enables users of LexisNexis Visualfiles case management software to continue their enjoyment of the World Cup 2018 and extend their support of the England football team whilst watching the final games of the World Cup from within Visualfiles. The add-in started out as part of a larger strategic project to continue to push the boundaries of what is possible from within the Visualfiles system which Zylpha has consistently managed over recent years with the launch of leading integrations for: Adobe Sign, PayPal, The MoJ Claims Portal and HM Land Registry. - Displays a real-time Twitter feed of all tweets referencing #itscominghome so you can keep up to date with all of the England football related memes. - Allows users to just click a button to watch the football from within Visualfiles, either by live streaming a match, or by watching one of many replays available on demand. - Provides a fully customisable Twitter feed so you can display other England football hashtags. - Enables users to change what video player is used, whether that is BBC iPlayer, ITV Hub or TVPlayer.com.